Our beautiful and oh so sweet mare, Rozalinda passed with quiet dignity and grace. She was bright eyed, still full of joy and eating like a champ. However, as she aged, it became more and more difficult for Rozalinda to get up and down and we had exhausted all practical means to restore/maintain her abilities and she was deteriorating quickly. I felt it best to let her go before she could no longer rise on her own without suffering and while she was still able to enjoy a good quality of life each day. As many of you know from your own experiences, their is no more difficult a decision than to let a horse go, yet we hold the power to grant our beloved horses the greatest gift – a gift they have both earned and deserve…the ability to ease them from this life with a peaceful passing filled with the love and devotion of those around them. In June 2011, our beautiful Rozalinda presented us with a magnificent filly named Laralie de Pluum WEF by our 2006 IFSHA World Champion Stallion, Wyn de Pluum v.V. 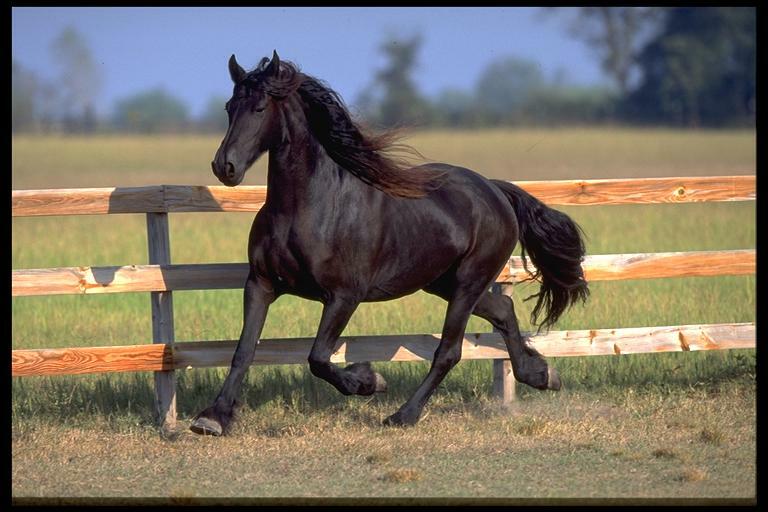 Laralie is the epitome of beautiful Friesian femininity and she is going to so closely resemble her mother – Long of leg, lots of mane and feathering and full of sweetness and light! 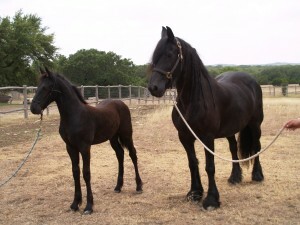 We are very excited to note that Laralie, along with our handsome young stallion, Arawyn van de Pluum WEF, both registered with the Friesian Horse Studbook of North America (FHSNA) are currently slated to become the first Friesians to be imported into Ecuador! 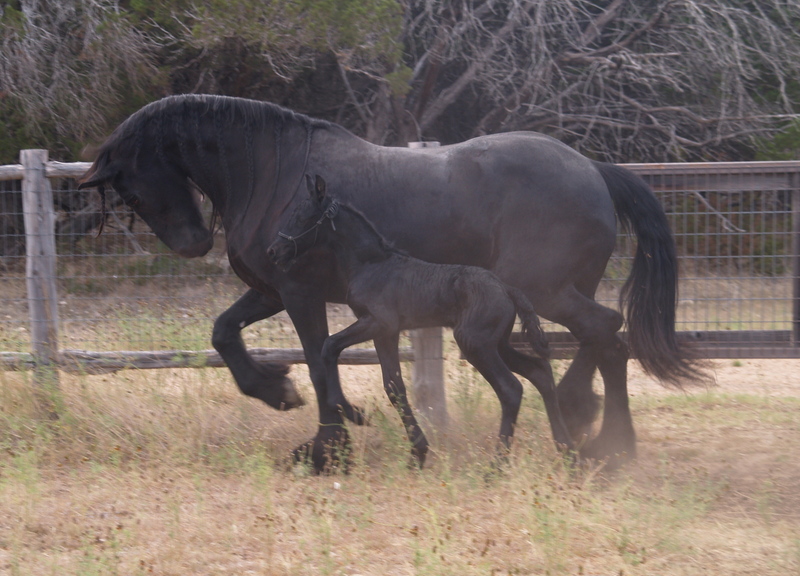 To have a filly of Rozalinda’s become the foundation Friesian mare in Ecuador is an honor and we are very proud of every contribution Rozalinda made to Wyning Edge Friesians…but even more important is the way she touched our lives every day here on the ranch. Her sweetness and joy, her loving nickers and nuzzles will be greatly missed…and never, ever forgotten. Rozalinda also delivered a very handsome colt in March 2009. Echo van de Pluum WEF is by our famed Elite/Preferent, Aswyn van de Pluum and was awarded the prestigious 2009 FPZV North American Champion Colt! He is now living the high life with Jean and Mike Spires in Pennsylvania! 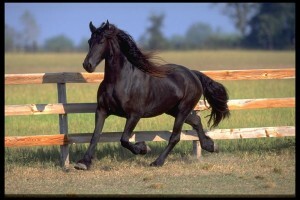 And from his recent photos, is developing into an incredibly handsome young stallion! 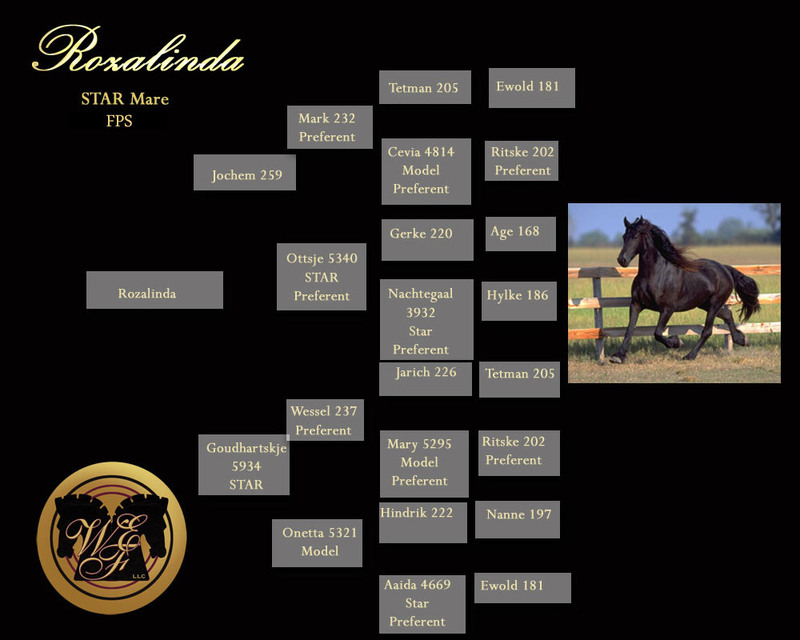 ~Rozalinda was a Star and Model Mare, exceptionally beautiful and with an outstanding FPS pedigree. She was renowned worldwide for her refinement and flowing tresses, all of which she passed along to her exceptional foals. As a broodmare, she was the epitome of a loving mother and possessed one of the highest premium foal records for the Friesian breed. Many of her foals have gone on to Champion status in Dressage, Driving and excellence of Breed. In 2000, Rozalinda passed the MPT (Mare Performance Test) with excellent scores to become a Model Mare.